Dell.com offers powerful, affordable computing solutions for the home and home office, including Desktops, Notebooks and computer accessories. Dell Home offers a wide selection of customizable and upgradable desktop and laptop PCs from netbooks to gaming machines. Dell offers powerful, affordable computing solutions for the home and home office, including Desktops, Notebooks and computer accessories. Dell Home offers a wide selection of customizable and upgradable desktop and laptop PCs from netbooks to gaming machines. Design a laptop that fits your style with Dell’s new Design Studio, or shop a wide selection of electronics and accessories. Visit Dell to buy computers and accessories for your Home or Small, Medium & Large Business. Explore our company information, learning sites, eSupport Center or participate in our community forums. * This dollar off coupon only applies to selected items. * Your minimum order value must be $599 or more. 30% off Dell Inspiron 15 Touch Laptop with this coupon code. To redeem this, simply copy and paste the code when prompted at checkout! Extra $60 off Dell Inspiron and XPS Laptops $899 or above! Free shipping! * Your minimum order value must be $999 or more. $56 off Dell B1265dfw Mono Laser Multifunction Printer - for $224.99 only and get $100 promo eGift Card! Free shipping! * This dollar off coupon only applies to selected items. Plus free shipping! Quote this promotion code during checkout to get 10% off Dell branded printers. Shop today! Receive 10% off select Netgear Router by entering this coupon code at checkout. Hurry to bag a bargain now. Get 10% off Solid State Drive by entering this coupon code upon checkout. Do not miss out. This coupon entitles you to $25 off Vostro 270 Business Desktop orders of $270 or more, just quote it when checking out. * Your minimum order value must be $399 or more. * Your minimum order value must be $549 or more. Windows 7 Sale! $300 off Dell Inspiron 17R laptop with 3rd Gen Intel Core i7 processor, Windows 7, 8GB memory, 1TB hard drive - for $699.99 with free shipping! Quote this promo code when checking out to take $40 off Dell Inspiron 660 desktop purchase $499+. * Your minimum order value must be $499 or more. 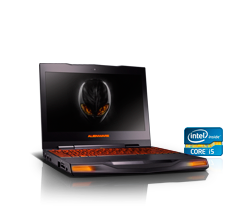 Save EXTRA $50 off any Alienware laptop and desktop $1099 or above! Free Shipping! * Your minimum order value must be $1099 or more. Enter this promotion code when checking out to save $80 off Dell XPS 13 Ultrabook. $389 off Dell Inspiron 15R laptop with Touch Screen, 3rd Gen Intel Core i7 processor, 8GB memory, 1TB hard drive - for $749.99 only with free shipping! Enjoy 10% off popular electronics and accessories by entering this coupon code at checkout. Enjoy $50 off Dell Vostro 3560 15-inch business laptop purchase $549+ by entering this discount code at checkout. How to save with coupon codes for Dell? Click one of our coupon/offer links and open dell.com offer page. Shop the Dell online store. Enter the Dell coupon code during checkout (When available). If there is no code provided, simply follow the offer link and the discounts will be automatically applied. I bought a Dell XPS 15 laptop one week ago, and it is tremendous! Its advantages: powerful, lightweight and highly portable, and looks pretty well. Easy purchase online and the laptop was delivered early than expected, I love it! But I must add that Dell's call support is not so good as expected, so I'll give 4 stars rating to Dell online store. Found a coupon for dell.com?